Lupus is a chronic disease that causes skin rashes and joint inflammation and pain. It can also damage major organs like your kidneys. Amer Al-Khoudari, MD, FACR, at Arizona Arthritis Clinic, PLLC, helps patients manage their symptoms, stay healthy, and maintain active lives. If you have questions about lupus or you’d like to schedule an appointment, call the office in Chandler, Arizona, or use the online booking feature. Lupus is an autoimmune disease that can affect your joints and any organ system in your body, including your skin, kidneys, and lungs. Autoimmune disease develops when your immune system mistakenly attacks healthy tissues, causing inflammation and damage. SLE is the most common type of lupus. It’s called systemic because it affects many organ systems, but it’s known for causing chronic inflammation in your joints, skin, and kidneys. While skin rashes are common with SLE, cutaneous lupus only affects your skin, causing a round, raised, scaly rash. Certain medications cause lupus-like symptoms even though the patient doesn’t have SLE. This type of lupus goes away within a few months of stopping the medication. When children develop lupus, it generally affects certain organs, such as the kidneys. The incidence of kidney disease in childhood lupus is about double compared to adult lupus. What symptoms develop due to lupus? The symptoms you’ll develop depend on the type of lupus and the area of your body that’s affected. SLE causes a characteristic butterfly rash, which appears on your face and mimics the shape of butterfly wings as it spreads across both cheeks. Lupus symptoms appear differently for each patient. Your symptoms may develop gradually or appear suddenly. They may be mild or severe. Many patients cycle between flares when their symptoms worsen for a while and periods of remission when their symptoms improve or disappear. Sunlight often causes a rash to appear and may trigger a more serious flare, so it’s important to avoid excessive sun exposure. Beyond being careful about sunlight, your treatment depends on the type of lupus, the severity of the disease, and the organ that’s affected. 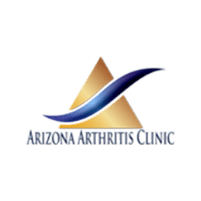 If you develop a skin rash or joint pain, call Arizona Arthritis Clinic or book an appointment online.